Happy Food Day + An Infographic - The Junior League of Boston, Inc.
JL Boston members work every day to promote wellness in our communities so we love the idea of Food Day. Food Day inspires Americans to change their diets and our food policies. Every October 24, thousands of events all around the country bring Americans together to celebrate and enjoy real food, and to push for improved food policies. 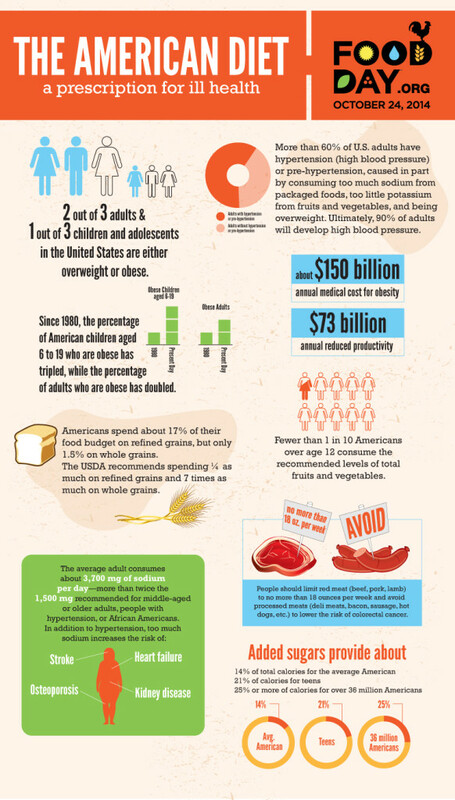 Check out the following infographic about the impact of the American diet on health, and consider attending a Food Day event today or over the weekend.